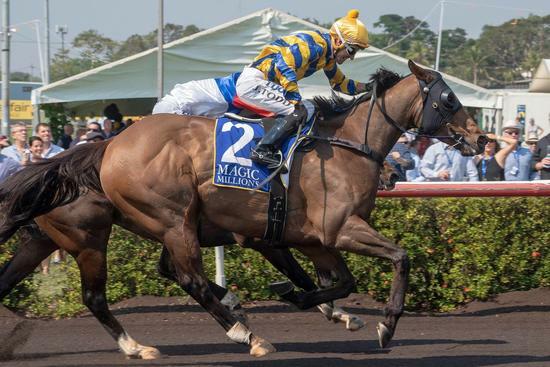 The final day of the 2018 Darwin Carnival saw yet another win to the ever consistent Arctic Song. After winning the same race last year he show great fight to sit outside the strongly fancied favourite to be too strong on the line. This gutsy effort was made even better after he backed up after running in The Palmerston Sprint 48 hours earlier. This brought up his 5th win for connections in a little over 12 months. Congratulations to the team and all of his excited owners.